The NRA did not respond to a request for comment for this story. The Internet Research Agency pushed pro-gun messages using an account called Defend.The.Second on Instagram. Facebook, which owns Instagram, confirmed to NPR that the account was connected to the troll farm. In one instance, the Internet Research Agency copied the description of Democratic National Committee deputy chairman Keith Ellison, originally made by the NRA's Institute for Legislative Action. In another case, the Internet Research Agency created a graphic, complete with the NRA logo, that copied the NRA-ILA's promotion of a story titled "NRA Scores Two Victories Against California Gun Control Laws." And both the NRA and the Internet Research Agency posted the same story about a homeowner shooting a suspected burglar in Louisiana. The St. Petersburg, Russia-based Internet Research Agency also posted an image celebrating NRA Chief Executive Officer Wayne LaPierre's visit to the White House in February 2017. In another case, the Russian social media account directed its followers to an NRA Institute for Legislative Action alert. "Guys, your assistance would be just in time! California libcucks are tightening gun laws again. 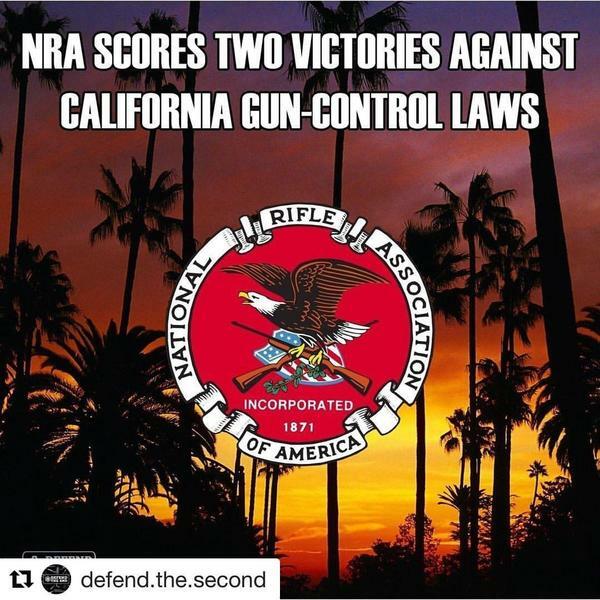 And you can save those who still can't leave this communist state ... click on this link to support the 2nd Amendment," the Internet Research Agency account posted, linking to the NRA's Institute for Legislative Action. These Defend.The.Second screenshots were found by researchers and stored on a Medium page called "USHadrons," which archives Internet Research Agency content. The archive has been cited by The New York Times and the Atlantic Council's Digital Forensic Research Lab, which has partnered with Facebook to monitor disinformation in the context of elections. "It's beyond reasonable doubt that these were posted on Instagram by the IRA, using the Defend.The.Second account," said Ben Nimmo, an analyst for the Digital Forensic Research Lab who reviewed the Defend.The.Second material in this report. "They all have the watermark, most of them are preserved online in places other than the Hadrons archive, and those which give a link lead back to a suspended page." Separately, NPR also found overlapping content posted by the NRA and Internet Research Agency on Twitter. The accounts have generated tweets mentioning the @NRA, @NRANEWS, or @NRAILA accounts a total of 199 times. Dana Loesch, an outspoken supporter of gun rights who would become a spokeswoman for the NRA in 2017, was tagged 77 times on her Twitter handle "@DLoesch." The National Rifle Association, on at least 90 occasions, promoted Twitter content similar to that of the Internet Research Agency, in some cases after that group had gone first. On at least 62 occasions, the Internet Research Agency shared the same content as the National Rifle Association after an original NRA post. ". @CynthiaLummis Introduces 'Collectible Firearms Protection Act'," the NRA wrote on June 8, 2015. About 45 seconds later, @ARM_2_ALAN shared the same content. "@HillaryClinton: Contempt For The Truth and American Freedom," wrote the NRA on Sept. 29, 2016, at 6:44 p.m., adding the hashtag "#goodread." Within 45 minutes, an Internet Research Agency account, @KATERITTERRRR, shared the same text. "Your #NRA will keep working with Pres. Trump and the pro-#2A Congress to overturn anti-gun regs from the Obama era!" wrote the NRA at Jan. 27, 2017, at 7:54 p.m. Within 15 minutes, an Internet Research Agency account, @KELVIN_CHAMBERS, promoted the same message. "A gun in the hand is better than a cop on the phone. #Guns4NY" wrote @MarissaAimstrong in December 2015. The NRA used similar wording of that observation the next month, tweeting, "It's more important to have a gun in your hand than a cop on the phone." "Seattle City Council president proposing tax on gun sales #local," wrote an Internet Research Agency account, @Seattle_Post, on July 8, 2015. The next day, the NRA posted the same wording, while also adding a link to a Seattle Times article.